Officials in Jamaica are investing heavily in facilities, hoping to keep pace with record industry growth. Infrastructure changes in Montego Bay, Ocho Rios and Falmouth are concurrent projects. Port Antonio is seeing a banner year of small ships and Port Royal is about to become a major new cruise destination in the Caribbean. Across the harbor from Kingston, an earthquake and resulting tsunami in 1692 buried most of Port Royal at the time. Now the historic destination is set to get a state-of-the-art floating pier to accommodate mid-sized ships as soon as early 2019. The new facility would be a marquee port, offering something new, officials hope. While the country’s other ports are good at handling multiple big ships, Port Royal’s traffic will be limited to one cruise ship at a time. The idea came together last year, when Jamaica’s Kingston accommodated the Pullmantur Monarch on short notice. Officials wanted to build on that, and nearby Port Royal, offering a more walkable experience and superior staging areas for busses, was a natural choice when combined with a floating pier. In Falmouth, dredging will allow the port to accommodate two Oasis-class vessels. There are significant investments going in to upgrade the shoreside experience, zeroing in on the town center. A new craft market will be complemented by a larger market. There are also ongoing infrastructure projects to improve the roads and pedestrian access. Montego Bay’s homeporting profile continues to attract European cruise lines. One large terminal is supported by a second smaller facility. Future plans call for moving the port’s cargo operation and merging the smaller facility into the existing cargo space, creating a second large cruise terminal. In Ocho Rios, infrastructure upgrades will see the transformation of Reynolds’s Pier finished later this year, allowing it to take large ships. Multiple cruise lines were consulted on the upgrade plan. A local fisherman’s village located near the berths is being turned into a more attractive area for tourists, and there are ongoing development plans to create a waterside promenade into town in time for the 2018-2019 season. Meanwhile, the opening of Cuba has been a boon to Port Antonio, which is having a strong year of small and niche ship calls. The port is limited to ships around 720 feet in length. Another record year in traffic projected for 2018 can be traced back to the opening of Falmouth. 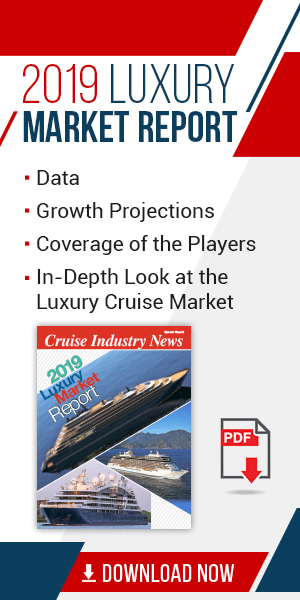 With Falmouth coming online, cruise lines doubled down on calling in Jamaica, often combining multiple ports in the country throughout deployment patterns. Local officials are hoping sweeping changes across the country’s ports combined with a marquee new destination will keep Jamaica top of mind for both transit calls and homeporting operations.